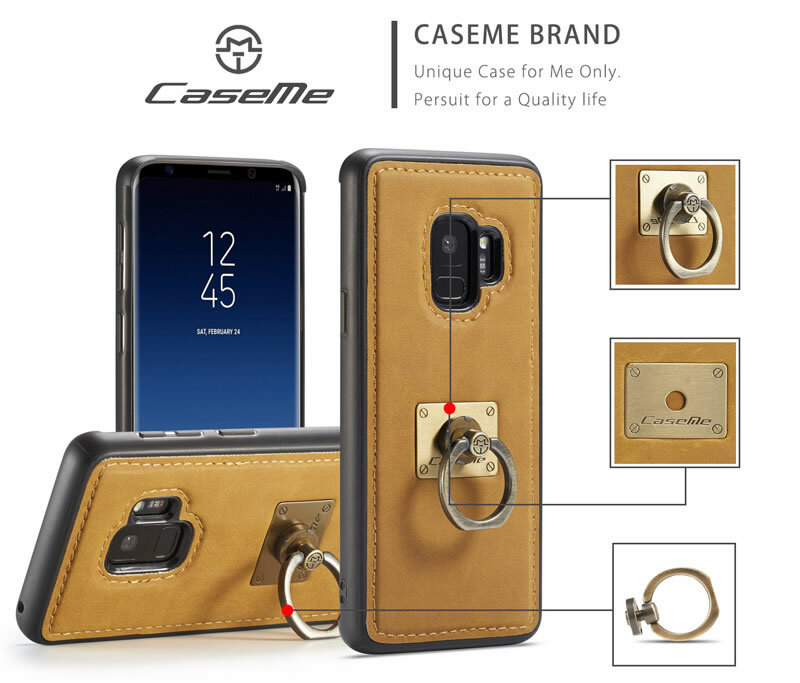 Free Shipping, Buy CaseMe Samsung Galaxy S9 Magnetic Case With Detachable Finger Ring Stand at Casemecase.com. 3, Dual-layered casing featuring a shock-absorbing internal padding, plus side, screen, and corner protection. 4, Precise cut and design allow easy access to all ports, sensors, speakers, cameras. 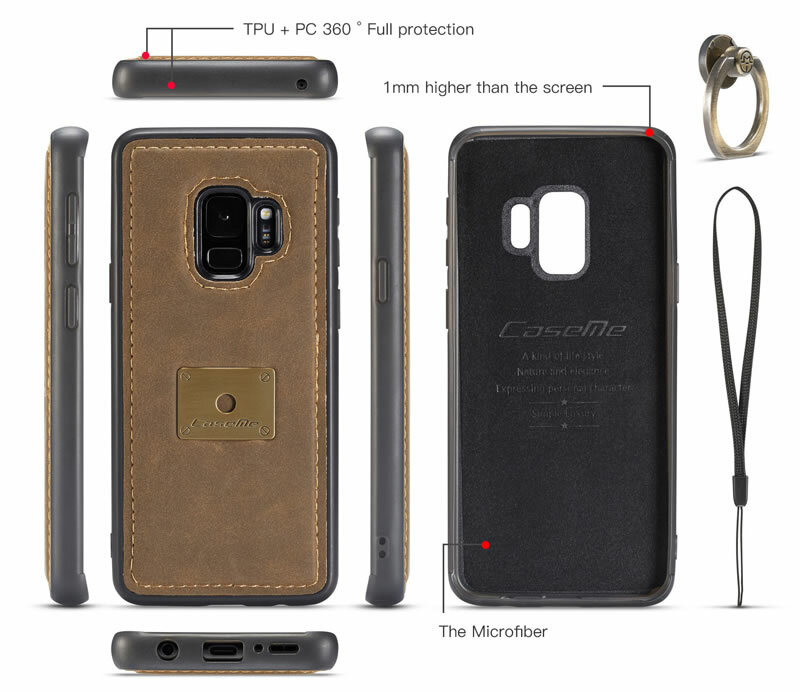 The full body soft external case won’t add bulk to your phone,and a layer of velvet inside case can also protect Galaxy S9 glass back from friction and collision. 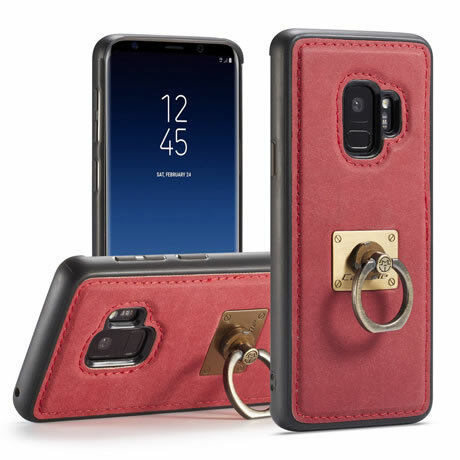 it applies shock absorbing technology which allows shock absorption from external impact while raised edges protect the front screen and the back camera of your phone.At the same time the case is durable and timeproof, not easy to be deformed. Easy To Install And Remove, Completely access to all control buttons without removing the case. 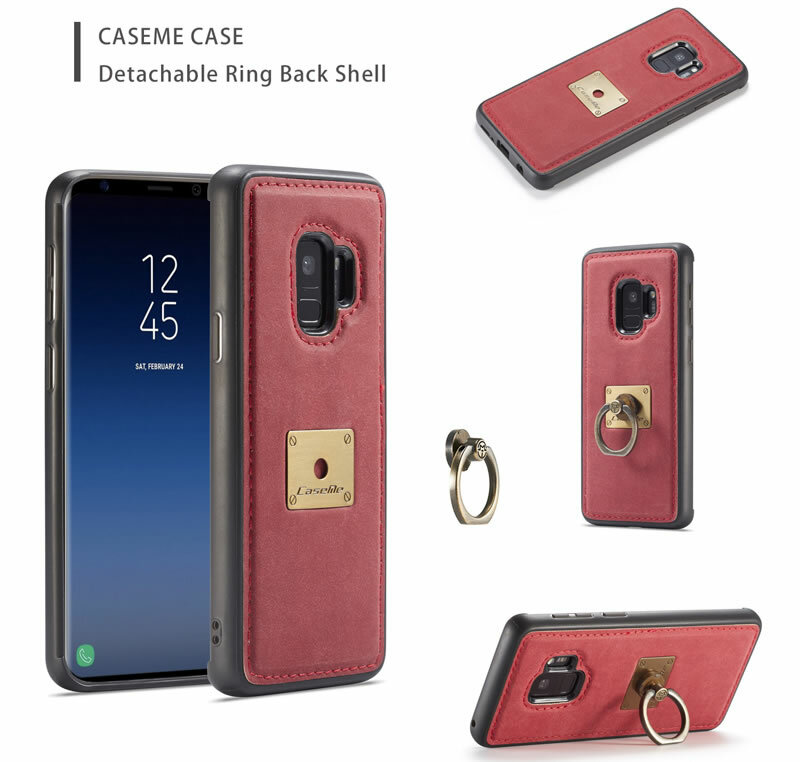 The case can fit your Galaxy s9 perfectly,High quality material can keep and enhance your Phone’s original beauty, give you a comfortable touch feel. soft TPU material is better than hard PC material for protecting fragile glass phone. 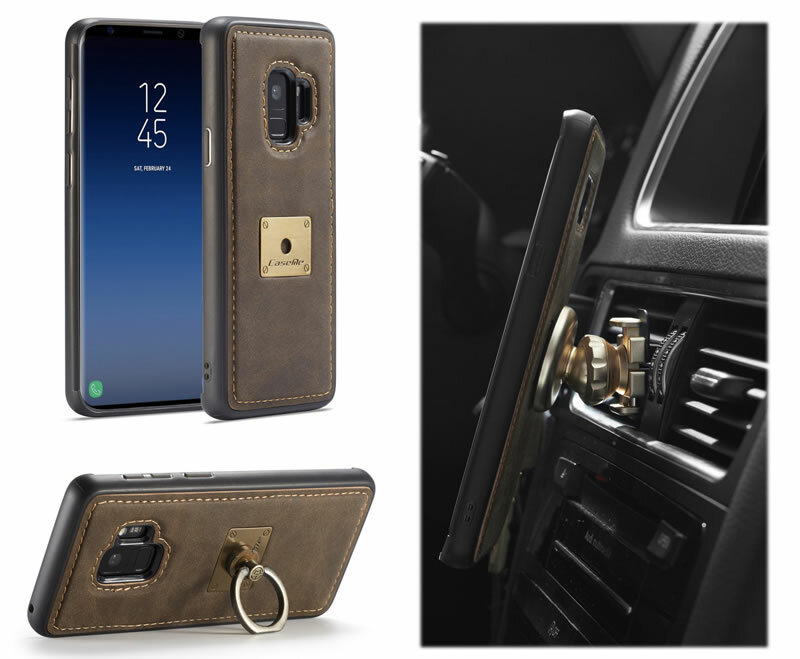 The case with built-in metal plate can easily attach to the magnetic car phone holder directly.No need to place extra magnet metal plate in your case or your phone.and You can be assured to put your phone on magnetic suction holder when driving,because strong magnetism is enough to make them tightly combined.